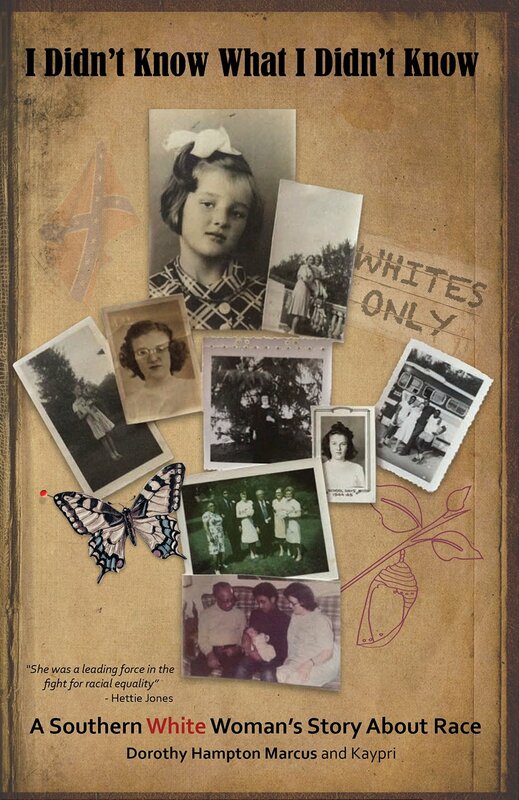 Dorothy Hampton grew up as the youngest and unexpected child in a large (White) southern family in the time of Jim Crow and the Great Depression of he 1930’s. Her feelings of isolation pushed her to see her place in the world and she fell into what would become her life’s work on doing work on the ‘inter-racial level”. This newfound commitment to “do something” about racism tool her on an unplanned journey where she witnessed several historical moments in history including the founding of a major Civil Rights organization, the Detroit Riots and major figures of the movement before they were household names. All the while she put off marriage and motherhood trying to learn more about the rold Race played in her life. Dorothy’s work models the healing our nation still has to do to fully embrace both our diversity AND the common humanity of us all. – VALERIE BATTS | Executive Director, VISIONS Inc. If Blacks and Whites are going to work together to help our nation live out its democratic ideals they will need to move beyond the misunderstandings and denials about our racial differences and similarities. Dorothy Hampton Marcus invites us into the intimacy of her white family circle to allow us to observe what its like to grow up as a Southern girl and how she became one of the unsung heroines of the movement toward becoming a “’somewhat’ more perfect union.” For years I have said of her “she is a genuine, good white woman.” In this book we get to see what helped to make her such a remarkable “human rights activist. An interesting account, told by mother and daughter, of the kind of life which often goes unexamined, but which has a place in history. What life teaches us is that we have the ability to continue to grow. Spring is a season but also a possibility as there is renewal. I Didn’t Know What I Didn’t Know shows us renewal at its finest, a wonderful insight. …readers will be touched not only by her story but by her daughter’s dedication in bringing it to light. How fortunate we are today to be able to read it, that it needn’t be hidden away for an occasional scholar to happen upon, but available to all. A vote of thanks to Dorothy for helping to create our new, more open and inclusive American future.